Ever feel large and awkward holding a dainty little candy cane? 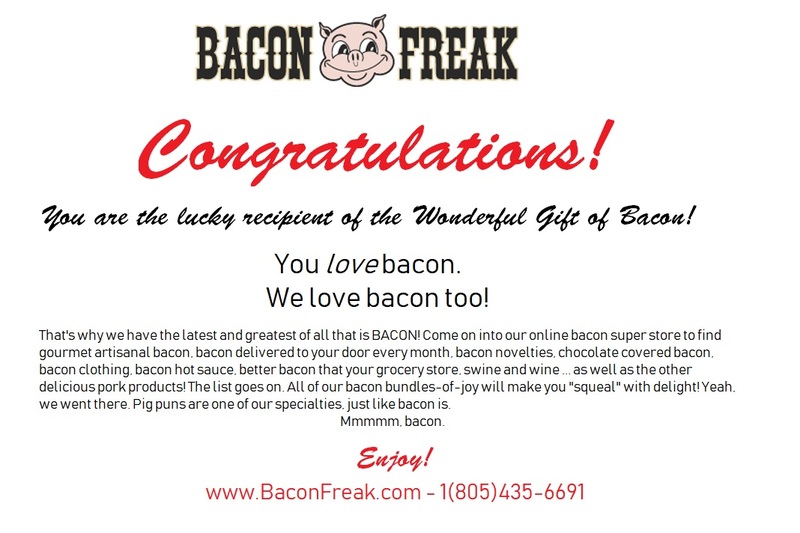 Do you have an insatiable love for bacon and all things bacon flavored? Well, you've come to the right place! This awesomely large candy cane delivers the taste of bacon in a super-sized meal form! It's like the bacon candy cane started going to the gym... and started taking steroids. This thing is so bulked out, it barely fits into your stocking. This Jumbo Candy Cane measures over 10 inches tall!